Note: PowerStream has received official information from Sony about the future of the VTC series batteries. 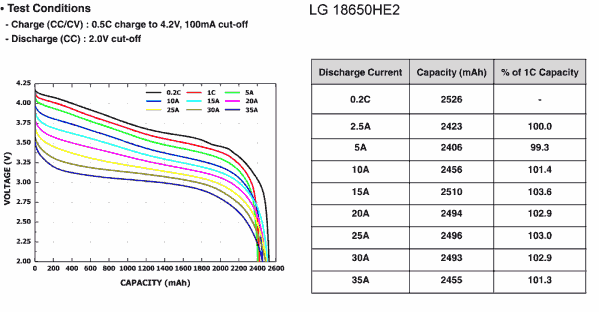 There has been another revolution in lithium ion batteries, in this case high discharge rate and high capacity 18650 cells. These are used in high discharge rate applications, including electric tools and vapor style electronic cigarettes. The Sony, Samsung and LG cells have been extremely hard to get, which has encouraged counterfeiting. PowerStream has a project with the Air Force which requires us to build their packs with the highest performance cells avialable. This means that we are continually on the prowl for the best. All the following cells have been obtained through legitimate channels and tested by PowerStream to make sure that they are genuine and authentic. 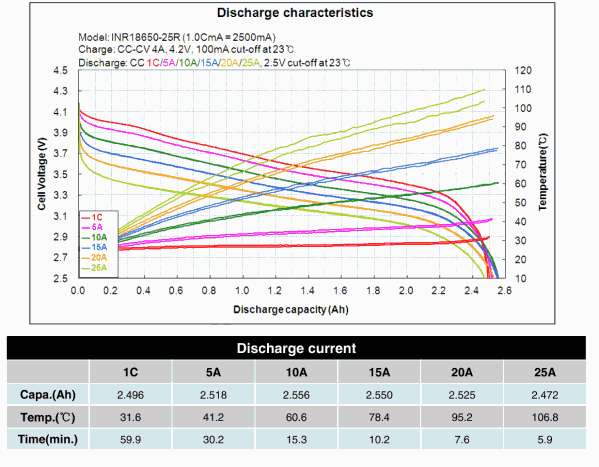 *Maximum discharge current is somewhat arbitrary, you can always get more amps if you can accept more voltage sag and don't let the battery get too hot. 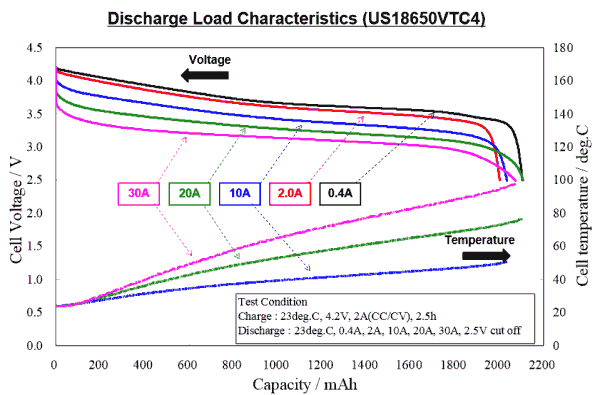 The current we list here is the highest that the manufacturer (LG, Samsung or Sony) supplies discharge curves for. 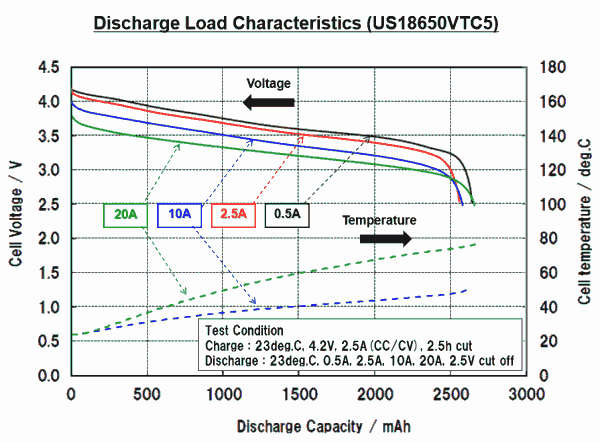 Look at the charts listed below to see the voltage drop and temperature rise. HOWEVER, IT IS NOT SAFE TO EXCEED THE BATTERY MANUFACTURER'S AMPERAGE RATINGS, SO DON'T BE STUPID! 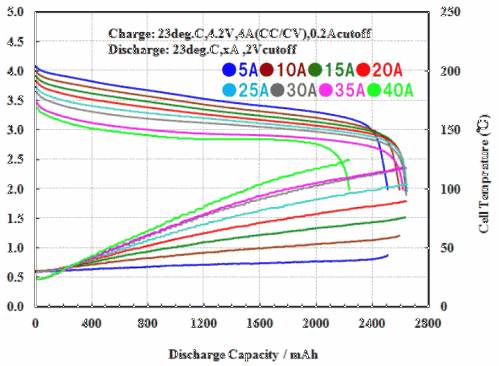 **The VTC5 data sheet says 20 amps, but I found a Sony discharge curve that goes up to 40 amps, see below. These are safe when used as single cells or cells in parallel. This is perfect for many applications such as vapor smoking. If you need higher voltage by putting these in series they can be very dangerous, and must be assembled in a qualified factory with the appropriate matching and balance charge circuitry. We can do this or have this done for you. We sell these individual cells with an understanding from the customer that they will not be used in series. Sony prints their data on the metal shell before the heat-shrink covering is put on, it is hard to photograph, so we have digitally enhanced these to make them more readable, here in two different views. 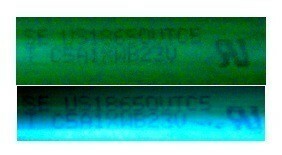 It says SE US18650VTC5 and T C5A1XWB23V along with the RU mark, which is the UL component symbol. The color was changed digitally to enhance the writing visibility. (1) Do not short-circuit and do not overcharge lithium ion cells. (2) Do not over-discharge , dent, crush, or burn the prismatic cells. 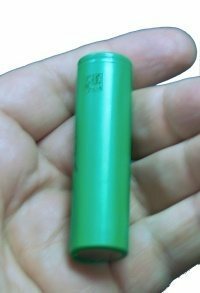 (3) The lithium ion battery should be removed from the instrument when battery is depleted. (4) Do not try to solder directly to 18650 lithium ion batteries . (5) Do not disassemble lithium ion batteries.